I know that I do a lot of patterns for holidays but that’s because they’re fun and not due to the fact that I’m super into holidays. 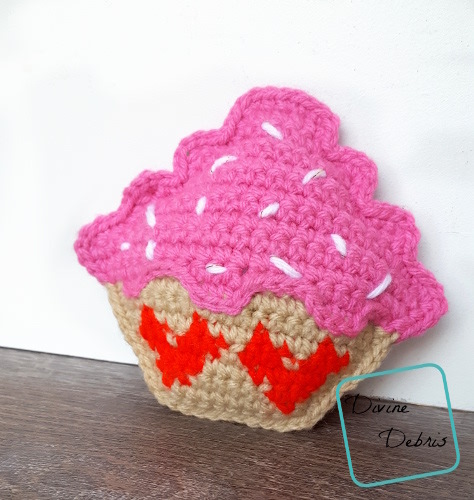 I don’t usually do much for Valentine’s Day but I do love to decorate for it, especially with crochet goodies. What about you? 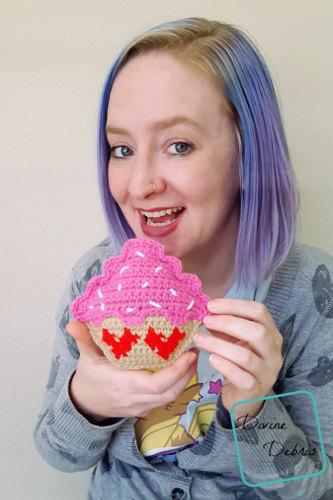 Anyway, I’m even going to make these with some thread like I did my Squishy Tree Ami (it’s in the notes if you’re interested) so I can have some really cute earrings for Valentine’s too. When I do make the earrings, I’ll update this post here with some info on how I made them if you’re interested (let me know in the comments if you would be interested in that sort of thing). 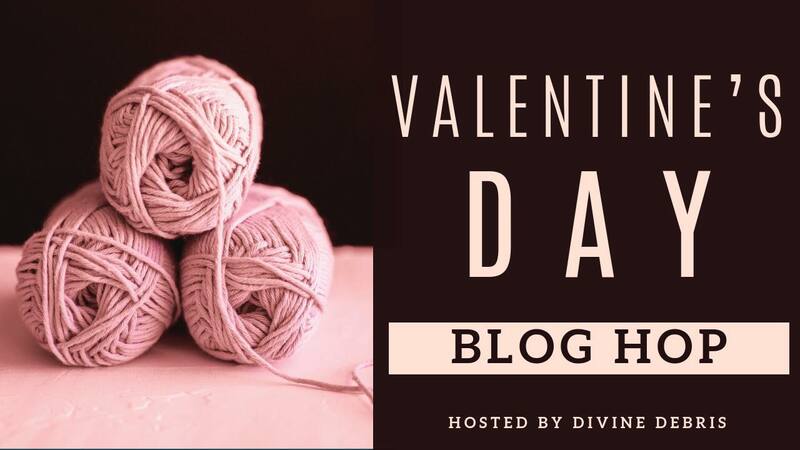 So, you may have noticed the Blog Hop banner at the top of this post – I organized a fun Blog Hop with a bunch of designer friends for Valentine’s Day. 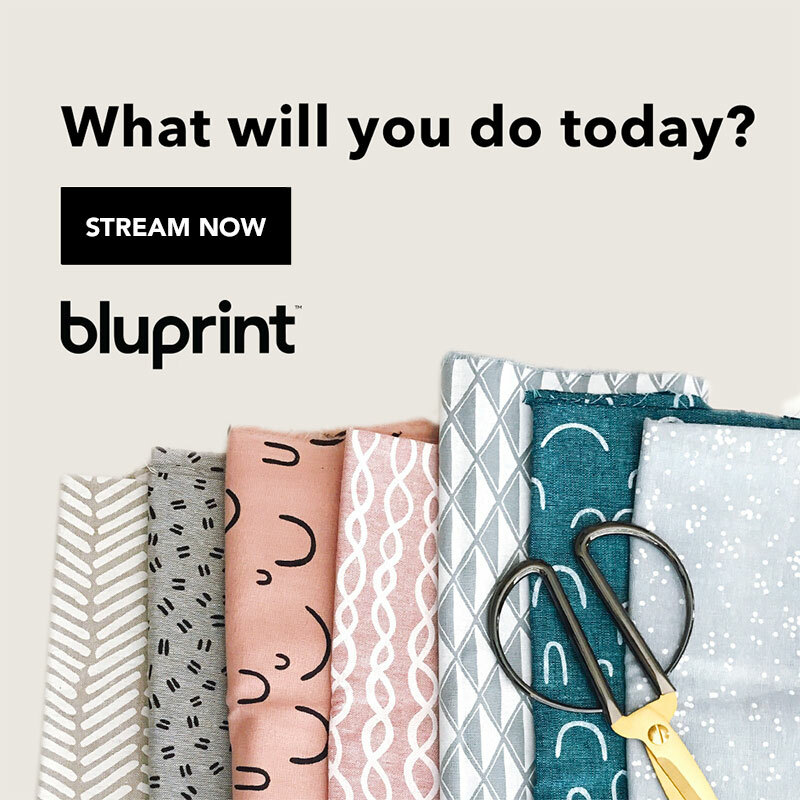 Today’s pattern is the first in the hop and as my friends post their patterns, I’m going update my post here to include the links to their blogs. For now, here are the links to all the blogs (I’ll change them to the patterns on the dates below). Feb 5th: Hearts and Fur Leg Warmers by And She Laughs Find a round up all the patterns here! 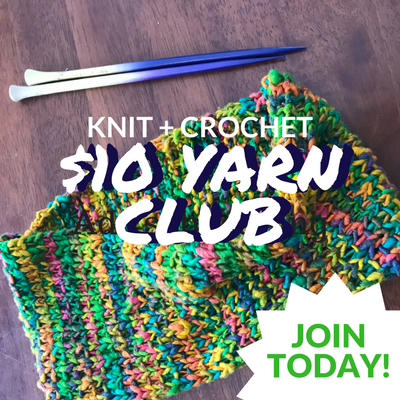 If you appreciate my weekly patterns I hope you’d consider purchasing an ad-free pdf of this pattern for $2.00 in my Ravelry shop. Thank you to all my patrons on Patreon! 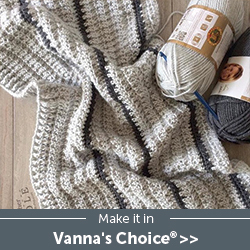 Every stitch in the Bottom part is a single crochet. The directions will only tell you what color (ie: Color A, Color B, etc…) and the number in the parentheses tells you how many scs to make. The instructions that read (2x) mean that you sc twice in the first or last two sts of the row and work scs in the number of stitches indicated. 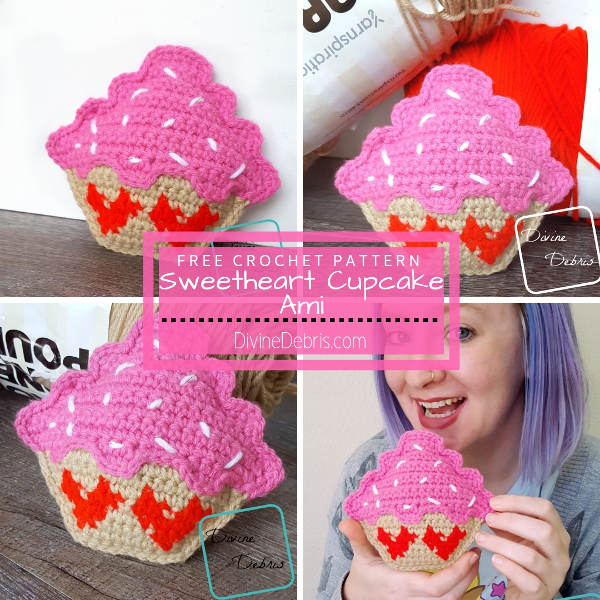 You’ll need to know how to do surface crochet for this pattern. 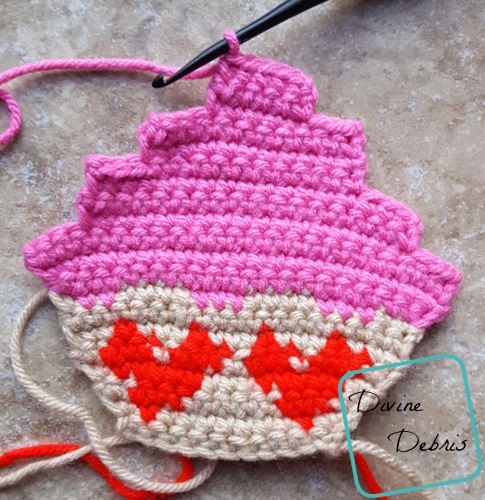 Color A is tan (Caron One Pound in Taupe), color B is red (Caron One Pound in Scarlet), and color C is Pink (Caron One Pound in Dark Pink). Continue from where you left off on row 8. 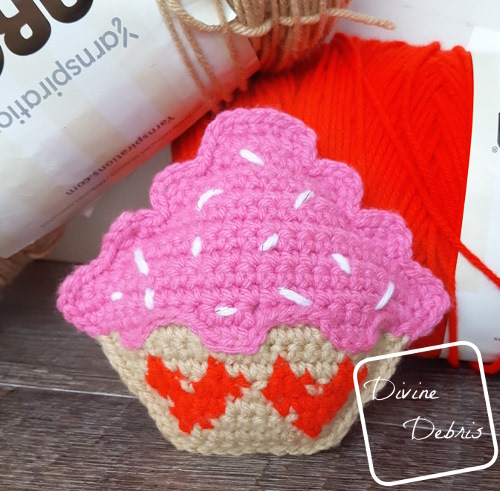 When you’ve completed both of your Cupcakes you’ll want to add some Surface Crochet along row 8 to highlight the color C. Use an optional 4th color to add sprinkles by weaving your needle back and forth around the Top section. This section you will secure 2 Cupcakes together. Place the two cupcakes with the RS facing out (the wrong sides should be laying against each other). Don’t forget to stuff your ami before finishing the Border completely.